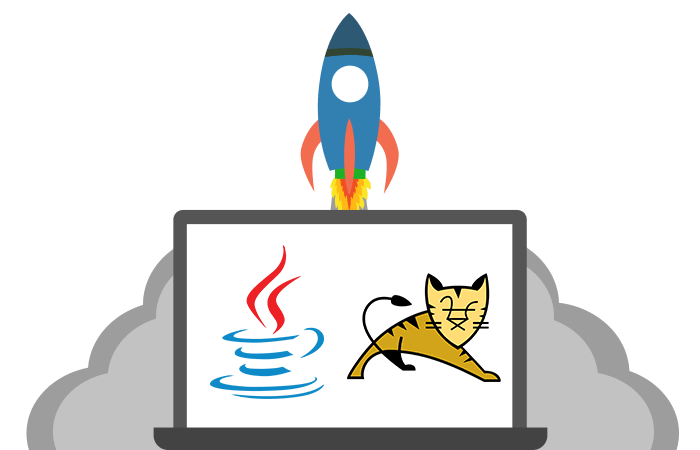 Launch your Java Tomcat application in few minutes ! Superb DevOps with instant provisioning, scaling and updating the Java Tomcat environments. Ready to use stacks such as Tomcat, GlassFish, WildFly, TomEE, Spring Boot, Payara, Jetty, SQL/NoSQL DBs. Automatic Vertical and Horizontal scaling as one the unique feature for Java applications. Multi Tenant Docker Containers for Java Tomcat Apps. Automation for CI/CD processes, cloud management and complex clustering. MilesWeb’s Java Paas (Platform as a Service) cloud can automatically scale any Java application in realtime. 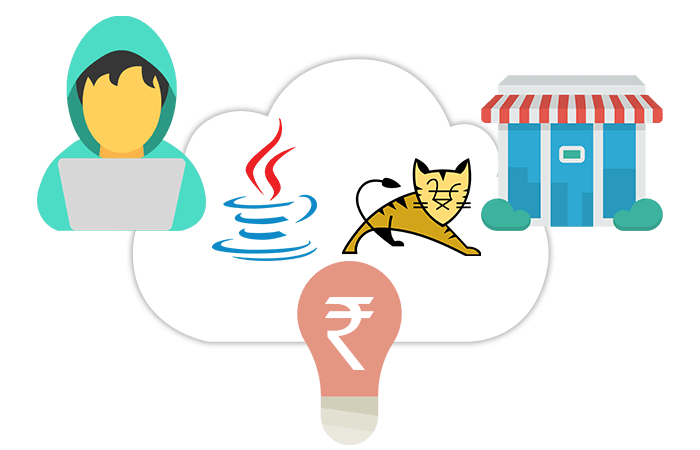 You can easily create the environment using Java such as Tomcat Glassfish along with SQL Instances like MySQL, PostgreSQL or NoSQL and deploy the Java Web applications within minutes. Deploy your Java application and experience the features of real cloud platform like elastic compute, automatic vertical / horizontal scaling, server load balancer, container service, resource orchestration, high availability, pay for usage, DevOps automation, marketplace with 1-click app deployment and self-provisioning access. Get your Java web application up and running within minutes with MilesWeb’s one-click deployment. With MilesWeb Cloud hosting it is easy to create the server instances (Tomcat, Glassfish ) and SQL Instances (MySQL, PostgreSQL) and deploy the Java Web applications. You can install Tomcat servlet container at one click which implements the Java Servlet and the JavaServer Pages for your Java code to run. Our Java cloud hosting platform is built for speed, vertical/horizontal scalibility and support for any Java J2EE project. Everything is on 1-click, choose your app server, database, cloudlet (CPU + RAM), storage space, minimum and maximum scaling limit and launch your Java environment. You can easily complete the task with just a few clicks. MilesWeb’s marketplace comprises of over 100 popular applications such as content management systems, wikis, forums, mail apps, project management, developer tools, portals, e-commerce, social networking apps and more. There is one click installation available for Glassfish, Payara 5, Glassfish Cluster, Auto Scalable TomEE, Wildfly Continuous deployment, MySQL Replication, PostgreSQL Database replication and Couchbase which are widely used in Java application deployment. What are the Java versions available on your cloud ? What are the different Java deployment methods available ?